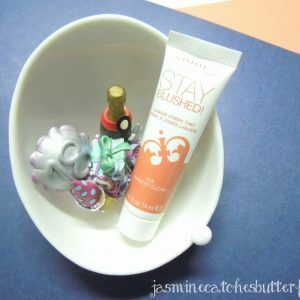 A shampoo for your makeup brushes? That sounds interesting! 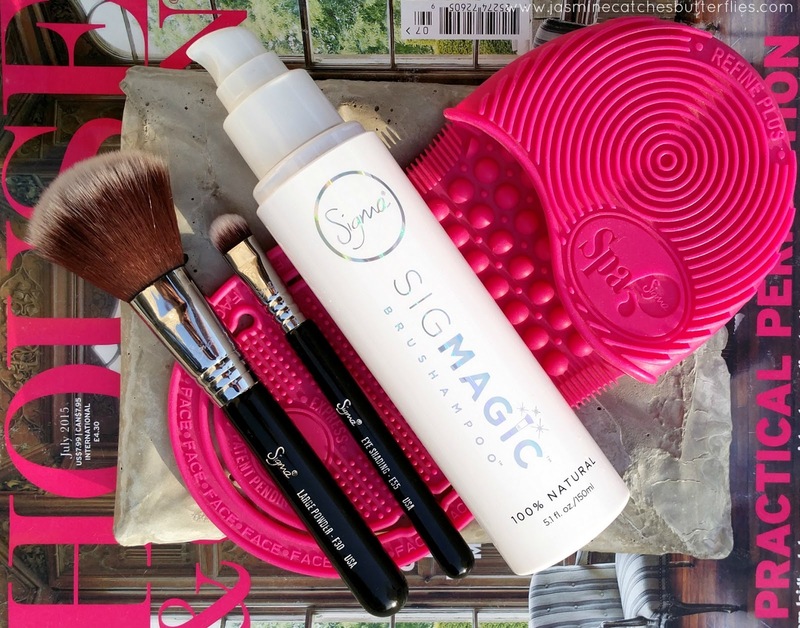 Sigma Beauty has recently launched SigMagic Brushampoo and I like how they are always on a roll when it comes to adding new products to their range. 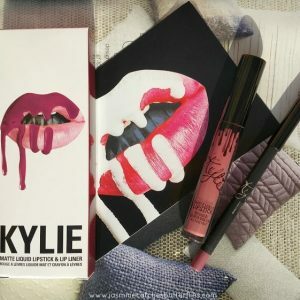 The brand had first started with premium quality makeup brushes but they have since released a lot of high-quality makeup products, out of which Sigma Beauty Robust Line Ace is my favourite liquid liner and therefore, is a part of my everyday essentials. Anyways, Sigma has been innovative when it comes to cleaning products for their brushes since that is what they are still recognised for and we have seen numerous brush cleaning gadgets over the span of past couple of years. So, it was about time that they came up with their own cleaning agent too and here we are talking about SigMagic Brushampoo. While there are brush cleaners available in the market, most of us still use baby shampoo or face-washes and honestly I have never purchased a brush cleaner myself because I never thought it was necessary. Do I think any differently now? Maybe. 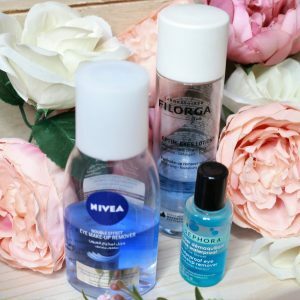 Before I started using SigMagic, all I had in my mind was that this is different than what I normally use, which by the way is a Neutrogena Face Wash that doesn’t suit my skin type, in the way that it is antimicrobial. Though I am not sure how that is comparable to a face wash. Anyhow, I soon discovered some other differences and because of them I now prefer SigMagic over what I was previously using. So, Brushampoo is made up of 100% natural ingredients and it does not contain any additives or preservatives to ensure that your brushes are not being exposed to harmful chemical agents which can be damaging to the bristles. Two key constituents are virgin coconut oil and certified sustainable palm oil but they are mixed with deionized water so this cleanser does not feel oily at all. In fact, it is quite watery and I initially doubted if it will even work because of its consistency. To my surprise, this lathers up pretty well. Another thing that I worried about was that if it will be effective in breaking down the residue of my Maybelline Lasting Drama Noir Black Gel Liner because it holds up really well without fading even on a hot day. Again, it pretty effortlessly cleaned my holy grail E65 Small Angle Brush without the need of excessive rubbing. To use SigMagic Brushampoo I first wet my brush and then dispense 2-4 pumps of the product, depending upon the size and the type of the brush, directly onto the bristles of the brush as instructed by Sigma. 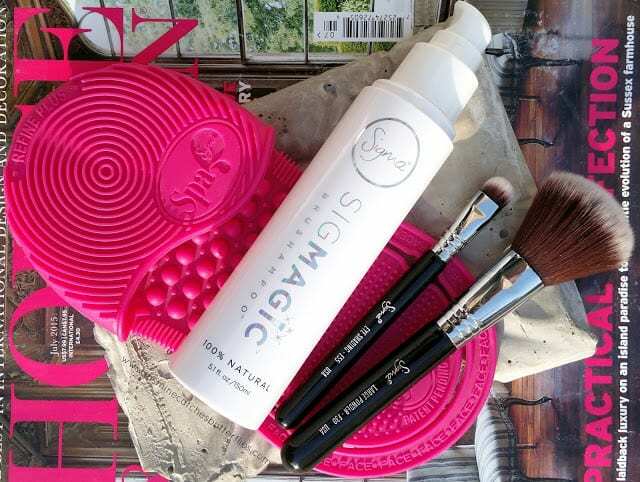 Then I gently rub the brush on my Sigma Beauty Spa Express Brush Cleaning Glove, about which I talked in detail in my Washing and Maintenance of Makeup Brushes blog post, to form lathers that thoroughly cleanse and disinfect it. I follow through with washing and refining the bristles on the special ridges present on the cleaning glove before I put the brush down to dry. With Brushampoo I noticed that it is actually easier to wash it out of the brush bristles than my face wash or even any other shampoo. This means that it does not leave any residue behind and it also reduces water consumption which is very important for a green environment. 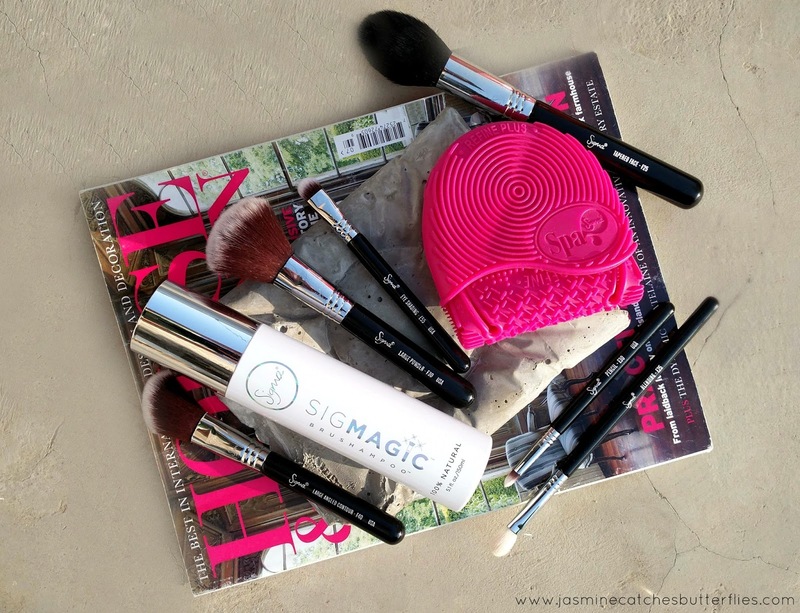 As a beauty blogger and a mad scientist in the making (okay, that wasn’t needed), I wanted to see if SigMagic is any effective on my beloved Beauty Blender sponge. This turned out to be the time when I became a firm believer of SigMagic’s power because it apparently cleanses the sponge just as well as the Blender Cleanser Solid. 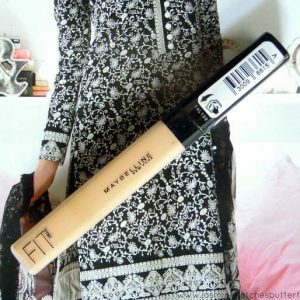 Also, since it does not contain any harmful ingredients, I think it is safe to use as a slightly lower priced alternative on the Beauty Blender without breaking it down. This costs $15 for 150 ml of the product which does seem a little much to me but you only need a small amount of it per brush. Besides, it is organic and all of the Sigma Beauty products are cruelty-free so bearing that in mind the choice is yours. 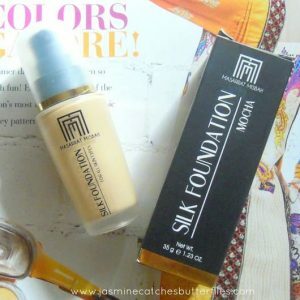 I would like to point out that for products that stain the brushes and sponges, like the Masarrat Misbah Silk Foundation, one wash is not sufficient to completely clean the brush and I do have to go over a couple of times before everything looks as good as new. However, that has been my experience pretty much with even other cleaning agents so I suppose that is a given for stubborn pigments. SigMagic Brushampoo comes in a plain but futuristic looking white cylinder with a silver cap and has the name of the product written in holographic text. 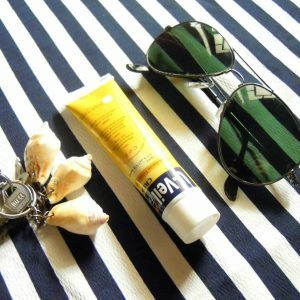 The bottle is lightweight and even though it is full size, the shape of it makes it somewhat travel-friendly so it can be carried around easily in a tote if needed. 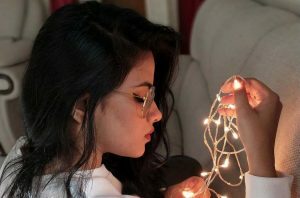 A lot of people do not like scented products for numerous reasons and since this is completely made out of natural ingredients, it does not contain any fancy fragrance or even colour. However, I would not call it completely scent free like water is because Brushampoo does have a natural scent which to me is just like that of the fragrance-free soaps people get when going for Hajj or Umra. There is nothing to worry about though because it is not bothersome at all. I have had the same Sigma Brushes for three years now and they are still as soft as ever, I still have not experienced any shedding so it goes to show that I have been able to take good care of them without anything extra. Therefore, I do not think that getting an expensive brush cleanser is a necessity but I would still give Sigma props for coming up with something that has turned out to be environment-friendly as it conserves water. I do not want to go into the global warming debate but we need to realise that at this stage everything that we can do for saving our planet is important. Sigma Beauty has a year round discount code ‘Sigma2016‘ and with this, you can save 10% on all your purchases. 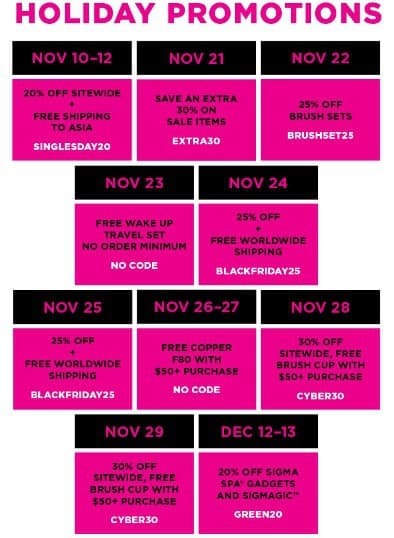 Also, for the holiday season, Sigma Beauty is offering a lot of awesome discounts with free shipping opportunities so mark your calendars for them. You can find all the dates and details in the image below.